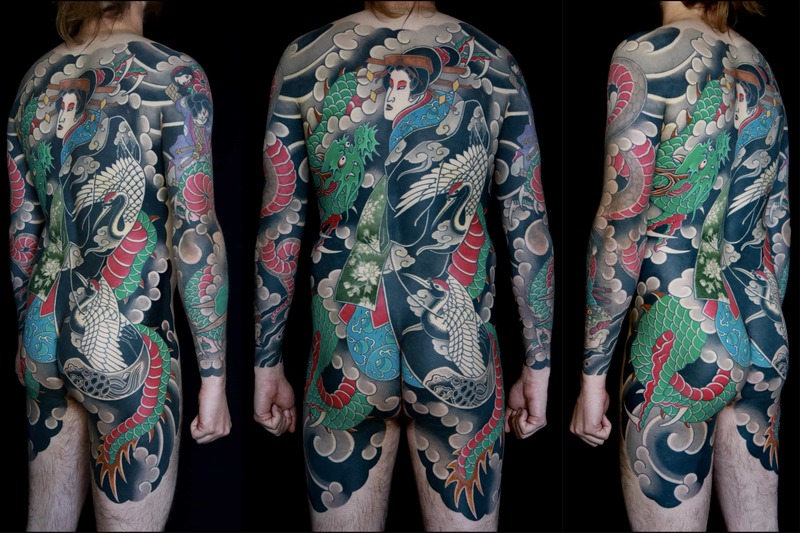 Luca Ortis is a London-based tattooist whose work translates Japanese techniques and motifs onto a staggering scale—remediating Swiss-style Japanese tattooing into his own, more broadly European, sensibility. 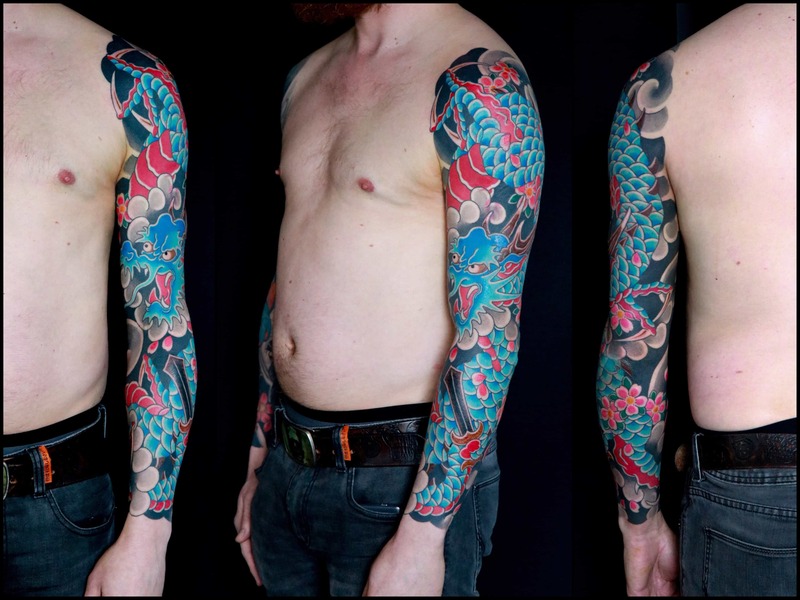 Ortis, a protégé of the famed tattooist, Lal Hardy, currently works in a private studio based in North London. Luca Ortis. I was born in Luxembourg in 1977. I grew up in Luxembourg and left when I was 18 years old. My family is Italian and I went to a European school, which meant that I was mainly schooled in Italian but also studied along with other kids from all over Europe. So I speak a few languages and have always felt somewhat nationality-less. I had a lot of English-speaking friends growing up and that’s why I ended up in the UK. I currently work in North London in a private studio. Before that, I worked alongside Lal Hardy at New Wave Tattoo in Muswell Hill. I think it’s 13 years now. 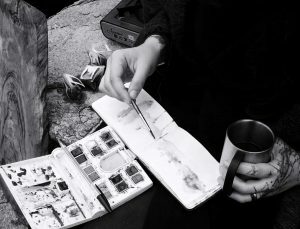 Although I grew up in an artistic family and was drawing and painting from a very early age, I never entertained the idea that I could do one of those things for a living. 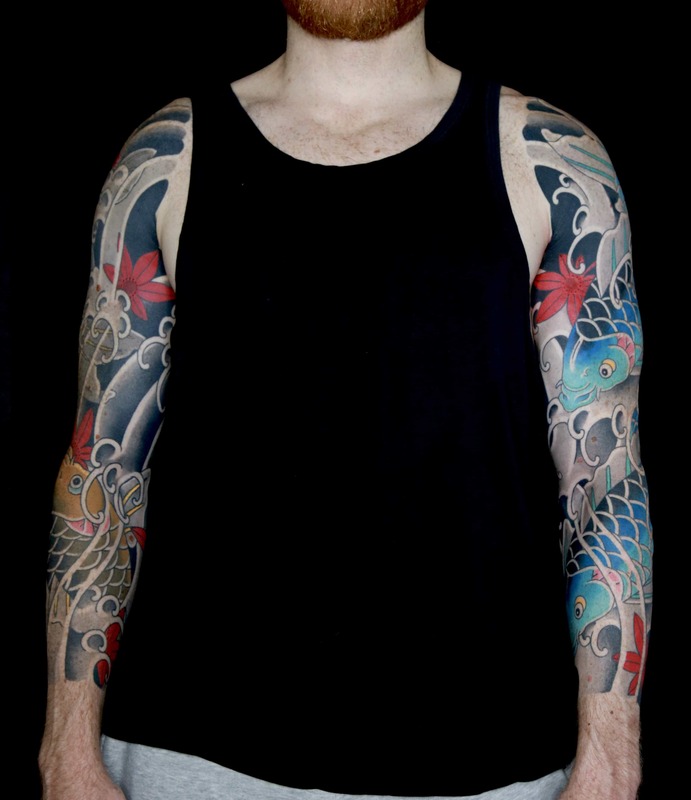 Certainly, I never considered tattooing as a profession—it just wasn’t a part of my world. No one in my family had a tattoo and neither did any of my friends. Somehow, I became interested in tattoos when I came across the book, Modern Primitives, and then started buying magazines. In my 20s I didn’t really have a direction apart from knowing I wanted to travel and explore different countries. 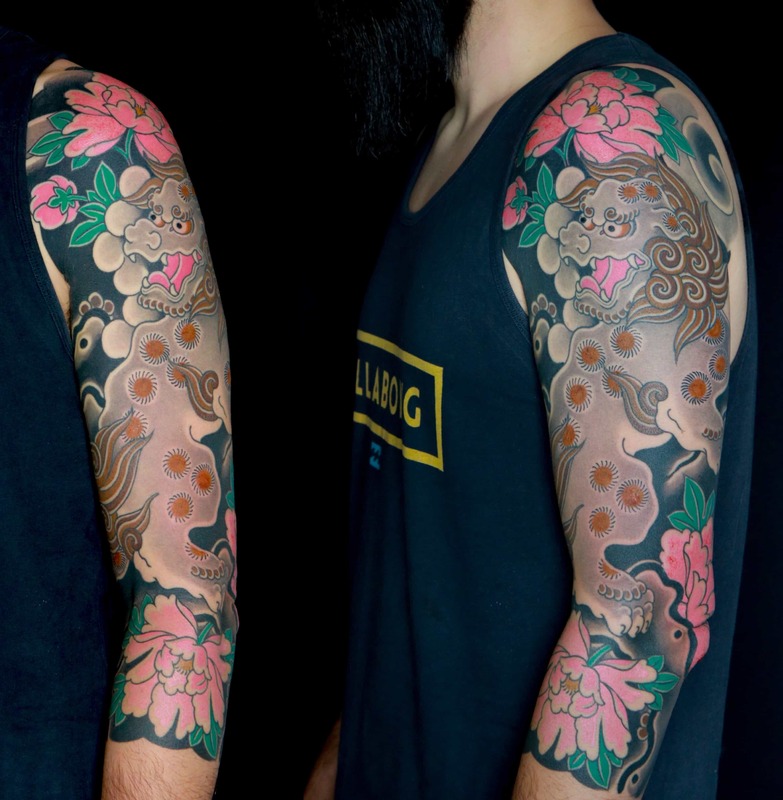 It was while living in Chile that I came across a tattoo machine and started my scratchership. One thing led to another and I eventually got a job in a street shop in London—a really dodgy place but the perfect place to start. Like all people of my generation, I started by tattooing absolutely anything on anyone. Were you trained through a formal apprenticeship? Describe the circumstances of learning. There was no formal apprenticeship then. I grabbed any information I could, wherever I could find it. It was only when I started working for Lal Hardy at New Wave that I got access to a more formal kind of mentoring. 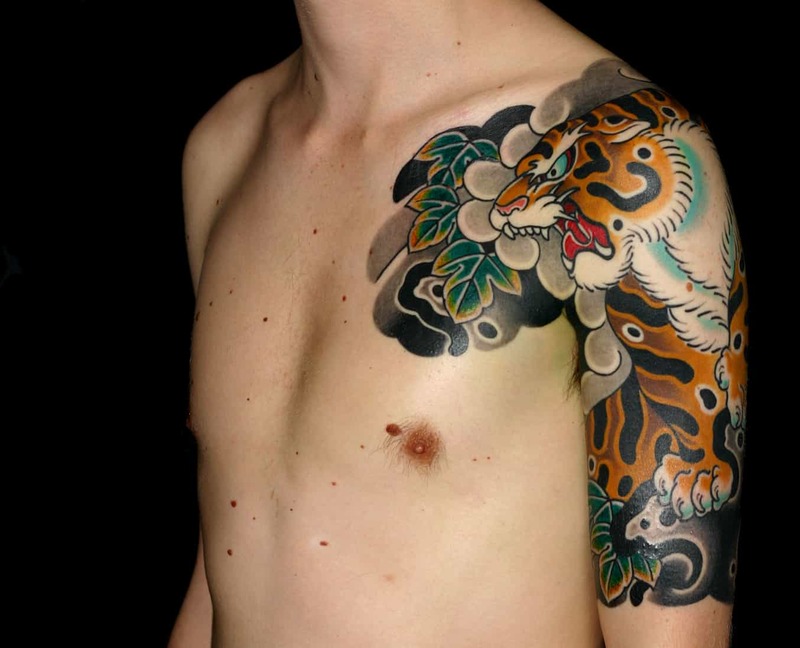 Ultimately, the technical side of tattooing was relatively straightforward. It’s the drawing and composition that still has me struggling and most importantly the real learning is in knowing the sources and references that most relate to whatever style you are working in. Have you previously studied art in an institutional setting? If so, what level of training did you reach and in what disciplines? 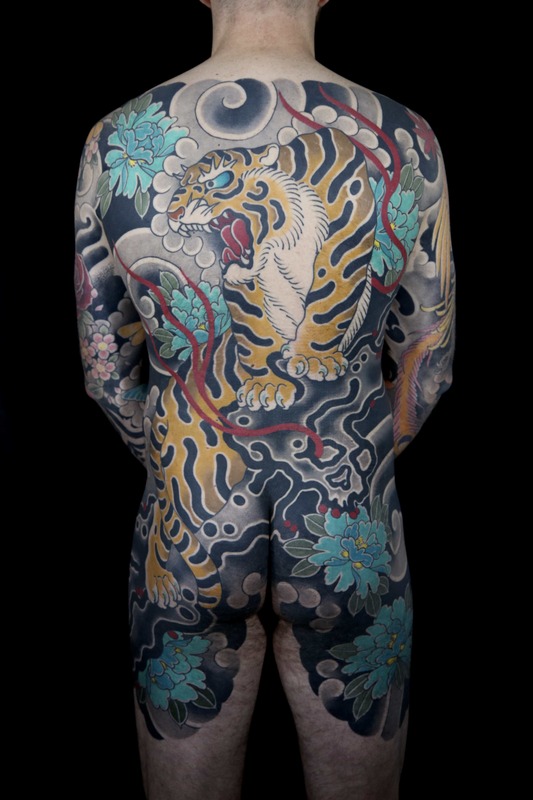 When I was just beginning my career in tattooing, I also enrolled in an art degree. I was mainly doing sculpture. 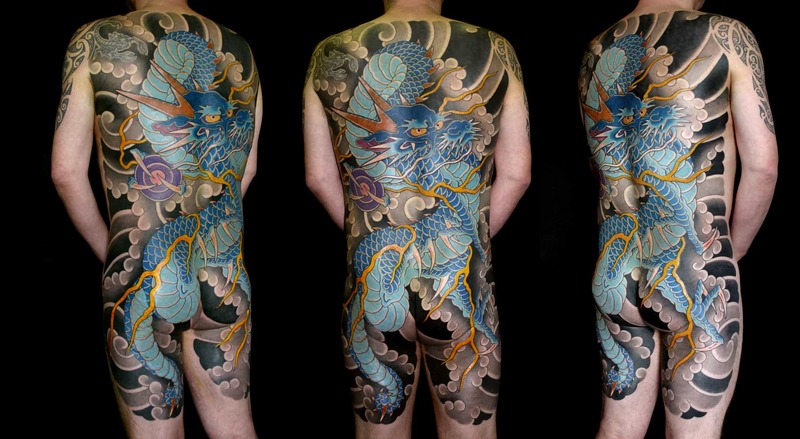 I soon realized that tattooing made me much happier and consequently other artistic pursuits took a back seat. 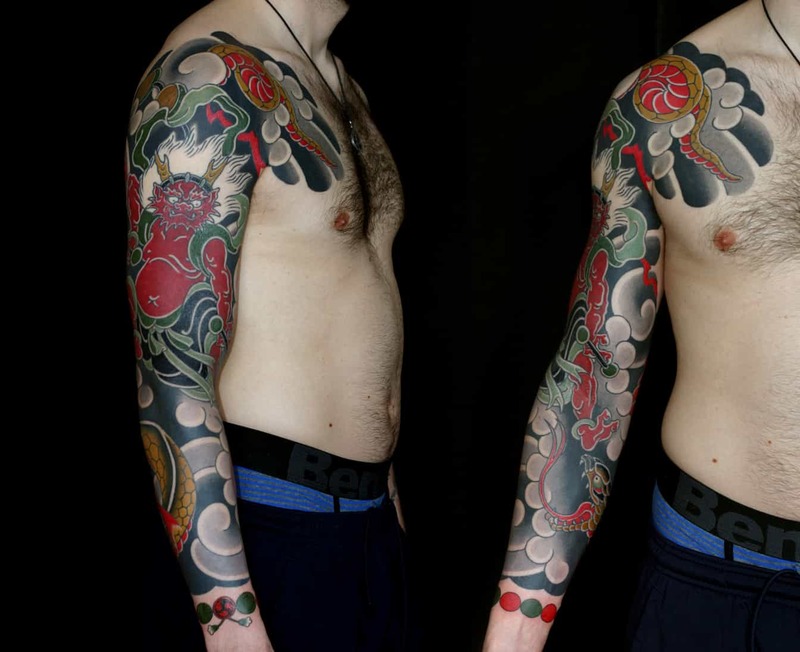 When I began, I was very influenced by the Swiss style of Japanese tattooing. All I wanted to do was large, smooth grey transitions like Filip Leu. But as I discovered the origins of that style I became fixated with a more traditional style. I guess my work now is about always trying to introduce more black in the background and remove as many unnecessary details as possible. 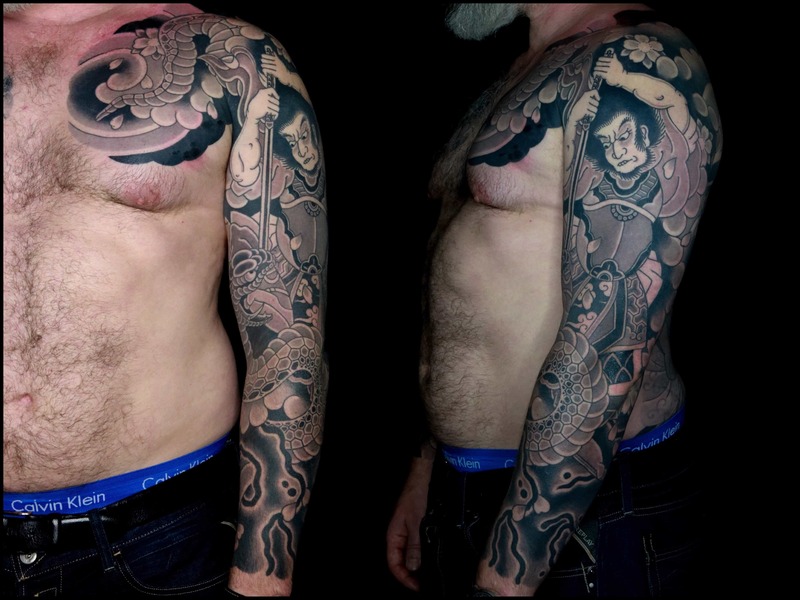 After some years of tattooing and seeing older work coming back, you quickly realize what ages well and what doesn’t; I really believe that one of the greatest responsibilities that we have to the client is to make sure their tattoo will look good in time. Not just the day the photo is taken. 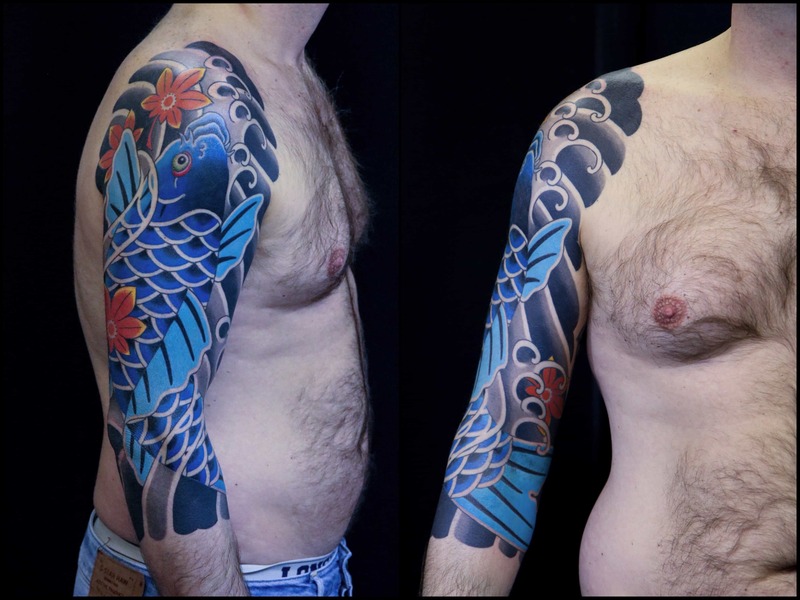 The ageing process is so unique to tattooing and too many people ignore it when designing their pieces. Have you had or do you have plans to take on apprentices? None at this moment and it would take a really special person to sway me. It’s a massive responsibility—again, one that many people in the profession take too lightly. Well, what I like in other people’s shop is different than what I want in my place. If I’m guesting somewhere, it’s always great to be somewhere a bit mental—with eccentric and talented individuals. On the other hand, my place is private and I work by myself. That’s where I work best but I certainly need the occasional break from myself and that’s why guesting is great. 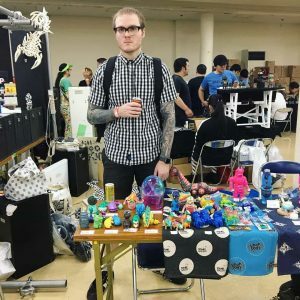 Do you have any hobbies outside of tattooing? Travel and food come to mind. I think books are what are most important in developing my practice. 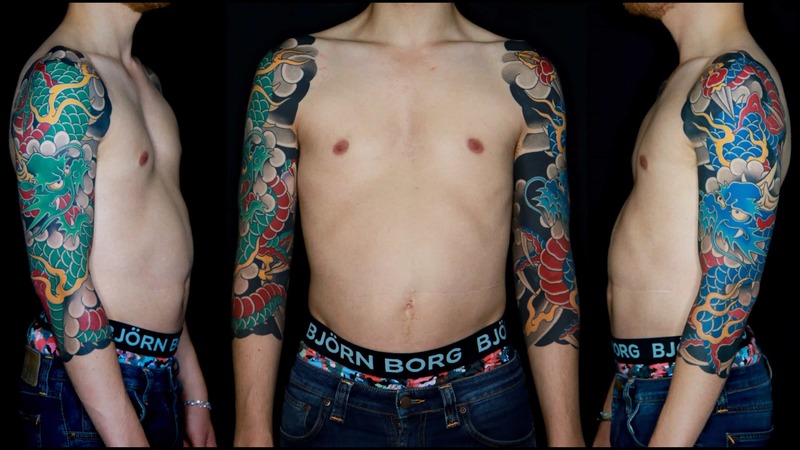 "Ultimately, the technical side of tattooing was relatively straightforward. It’s the drawing and composition that still has me struggling and most importantly the real learning is in knowing the sources and references that most relate to whatever style you are working in." Is traveling important to you? If so, where do you usually travel? Do you have any interesting experiences abroad that you can share? I try to travel as often as I can. I’ve been traveling since I was a teenager and I’ve had the chance to visit and sometimes live in many places. There’s nothing more exciting than landing somewhere unknown and different. Asia is always a great part of the world but I’ve also traveled extensively in Europe and I’ve lived in South America. I don’t think I’ve ever been anywhere that didn’t add something fun to my life. I also in many ways owe my start in tattooing to traveling. That’s a big question and I don’t think I can add much to that debate. 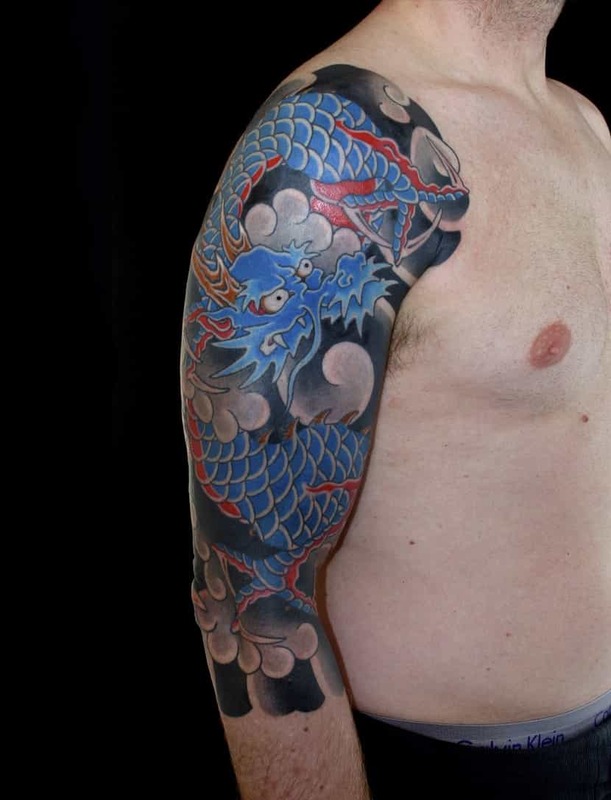 Ultimately, tattooing has been through many changes in the last few decades and, like everything some are good, some are bad, and some could go either way. We all like to moan about how tattooing is not what it used to be but I’m sure many aspects are better. And there’s still plenty of people young and old who are going about it with what I think is the right attitude. 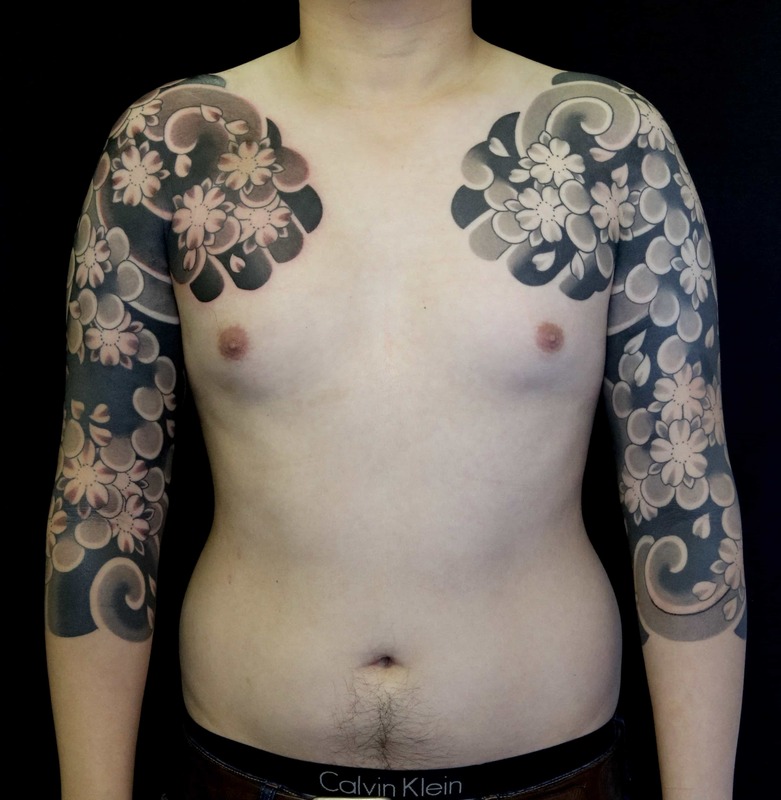 I hope that whatever way tattooing ends up evolving, some parts of it will remain a bit unique and special. 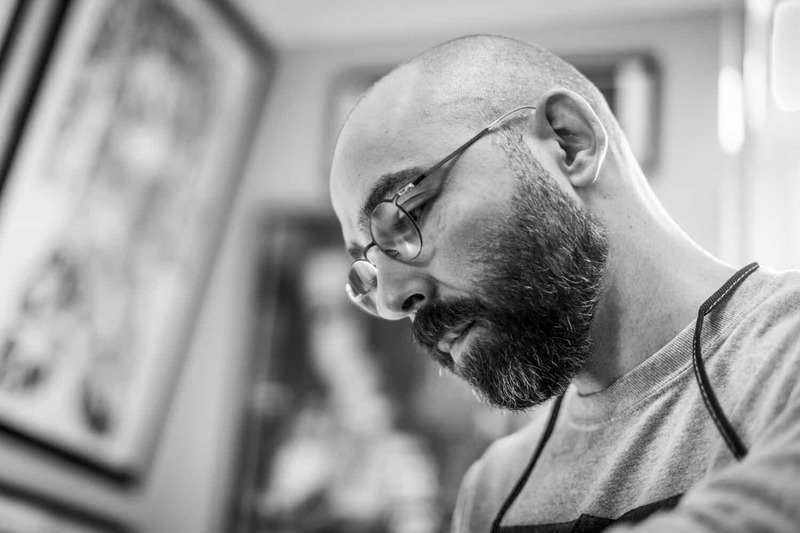 You can see more of Luca Ortis' work online (lucaortis.com) and on Instagram (@lucaortis).